IPL 2018 KKR vs SRH live streaming and telecast will be done by official broadcasters. You can watch live cricket match today on Hotstar, Jio TV, and Star Sports network TV channels. Kolkata Knight Riders vs Sunrisers Hyderabad is the 10th match of the ongoing Indian Premier League season 11 tournament. Until this particular match, Sunrisers is standing at #1 in the 2018 IPL points table after winning both the matches while Knight Riders is at #3 with one win in two matches. Today’s match between Hyderabad and Kolkata is to be played at the Eden Gardens located in Kolkata. All the home matches will be played here. So, we can expect it to be a nail-biting game. In the last match of KKR, Chennai Super Kings (CSK) defeated them in an amazing style. It was a high score encounter at the Chepauk Stadium. Though Kolkata lost that one, but Andre Russell mesmerized everyone with his batting. While, SRH looks like the strongest side of IPL 11 – both on paper and field. Sandeep Sharma and Siddharth Kaul’s good bowling may create selection dilemma. Today’s match of Kolkata vs Hyderabad is scheduled to take place at the Eden Gardens. The t20 will start at 8 pm IST while the toss will take place at 7:30 pm IST – 30 minutes before the actual play on April 14, 2018. If you have TV, you can access the match on Star Sports 1 / HD and Star Sports Select 1 / HD in English. For Hindi viewers, the channel is Star Sports 1 Hindi / HD. However, if you can’t access the TV, then you can switch to smartphones or computers. You can visit Hotstar – website and application, Jio TV app, AirTel TV app. 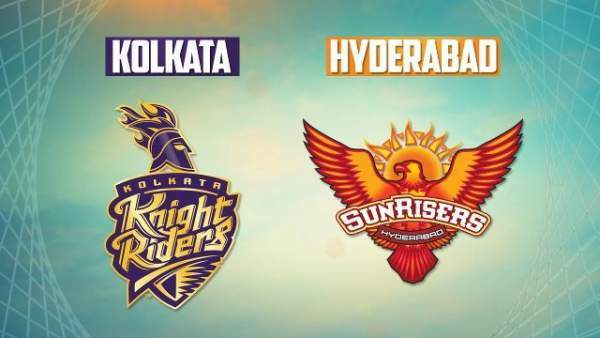 All of them will stream SRH vs KKR live on their platform. They are the official partners. Besides them, it will also be available on some non-partners web portals. Sunrisers is very high on confidence after winning two consecutive matches. But, they shouldn’t take their opponents lightly, even after that. It’s because anything can happen in this shortest cricketing format. Though KKR had mixed start with a win and a loss, it doesn’t mean they are weak. Stay tuned to The Repoter Times for more live cricket scores, kkr vs srh live streaming, commentary, ball by ball updates, prediction, match result, man of the match, video highlights, and much more.